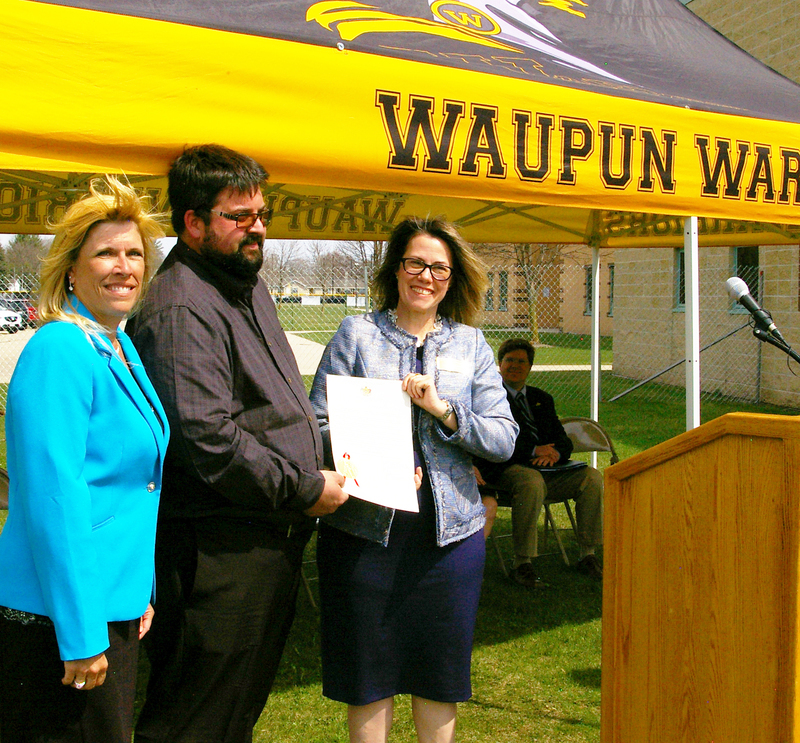 Waupun Area School District broke ground Tuesday for construction of its new 7,000 square foot Warrior Innovation Center. Recent trends in building projects, curriculum revamping and state funding for public schools indicate a heavy emphasis on technology education and hands-on training, with a seamless transition to the state's technical college system. The Innovation Center, scheduled to be up and running by next fall, features production areas for fabrication, a large shop room, mobile welding, a tool crib, printing and engraving space, storage areas and offices.